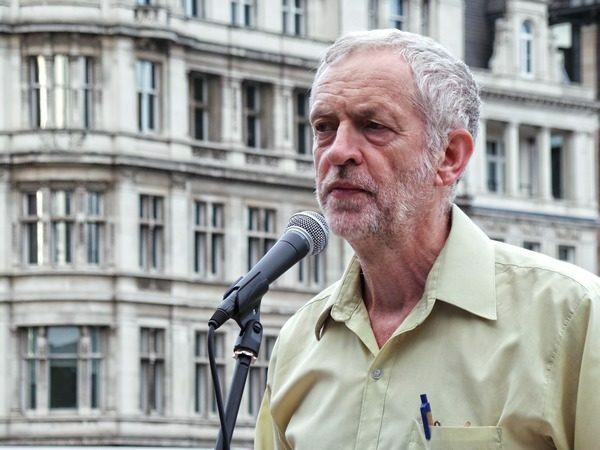 Why is no one challenging Jeremy Corbyn on foreign policy? Jeremy Corbyn’s latest opinion on foreign policy is that the UK should show more respect to Vladimir Putin’s Russia. Like his other announcements, they are going unchallenged by his rivals in the Labour leadership contest. Like French far-right leader Marine Le Penn and UKIP leader Nigel Farage, Corbyn thinks that NATO, rather than Vladimir Putin, is at fault for the crisis in Ukraine. Moreover, Corbyn expressed regret that Poland was allowed to join NATO, claiming that, ‘We should have gone down the road Ukraine went down in 1990’ (because that has worked out so well). There’s more. Corbyn’s associations with anti-Semites include: his ‘friends’ Hamas and Hezbollah, his praise for a blood-libel-spreading, 9/11 conspiracy theorist Islamist preacher, who he even invited to take tea on the terrace of the House of Commons, moonlighting for George Galloway on Iranian government propaganda channel Press TV, allegedly donating money to a pressure group run by a holocaust denier and deemed too extreme by the Palestine Solidarity Campaign, and defending a priest who shared on social media an article entitled ‘9/11: Israel did it’. As far as I am aware, none of the current Labour leadership contenders have sought to challenge Corbyn’s views on these issues. It is staggering that Labour Party figures accuse Corbyn of wanting to return to the days of British Leyland or a ‘Soviet-style’ economy simply for wanting to bring the railways into public ownership (something Andy Burnham claims to support), but will say nothing about his repeated association with anti-Semitic figures or his anti-NATO, pro-Russia, pro-Hamas, pro-Hezbollah stances. Even in Alistair Campbell’s blog urging people to vote for anyone but Corbyn, there is no proper attempt to challenge Corbyn’s ideology; he simply says Corbyn would be bad for the Labour Party. If Corbyn can still be defeated it will only be through convincing the party members and supporters why he is wrong – not simply saying he is wrong over and over again. Whether one agrees with him or not, to the vast majority of people Corbyn comes across as a genuine character, with deeply held convictions (and a record for being the most rebellious Labour MP to back this up). He speaks to Labour members and supporters outraged by the fact the party leadership made such a mess on the welfare bill. Like them, he opposed it and like them, he does not want to tack further to the right. It is perfectly understandable that party members and supporters are more inclined to vote for someone who comes across as a conviction politician – someone who talks about wanting to turn the party back into a social movement – rather than vote for someone based on whether or not the Tories will fear them. Put bluntly, people voting for Corbyn know he will not do a Nick Clegg. By contrast, rival candidates come across as though they are continuing Ed Miliband’s strategy of Balkanising voters: thinking that if they can simply say the right thing to different groups of supporters then they will secure their nominations – clearly this did not work for Ed and is failing epically at present. There are very serious arguments to be had over many of Corbyn’s views and it’s puzzling that his rival candidates haven’t offered a more extensive critique of them; simply attempting to scare party members into not voting for Corbyn, just saying that he is bad, has failed. Several MPs claimed they were backing Corbyn not because they support him, but in order to ‘broaden the debate.’ Even at this late stage, can we actually have that debate? Lorin Bell-Cross is a researcher at BICOM and assistant editor of Fathom Journal. He is writing in a personal capacity. Follow him on Twitter. More anti-Corbyn myths being peddled without question show me a 1st hand source where he says he would take the UK out of NATO. Show me a 1st hand source where he says we should be best buds with Russia. Opinion pieces from rightwing papers like the Telegraph do not count I’m afraid. Lads, we want to win this right? Let’s not lose focus. The message is crystal clear – even the thickest kip nuts get it. Given his anti-nuclear stance, Corbyn can’t be taken seriously when he advocates “less use of fossil fuels”. Note how Germany has been burning more lignite (the dirtiest kind of coal!) as a result of its nuclear phase-out policy, as wind and solar aren’t reliable enough and Russian gas is too expensive. Not to mention the increased use of wood burning – an energy source that was so unsustainable that it was the reason we started burning fossil fuels in the first place several centuries ago! 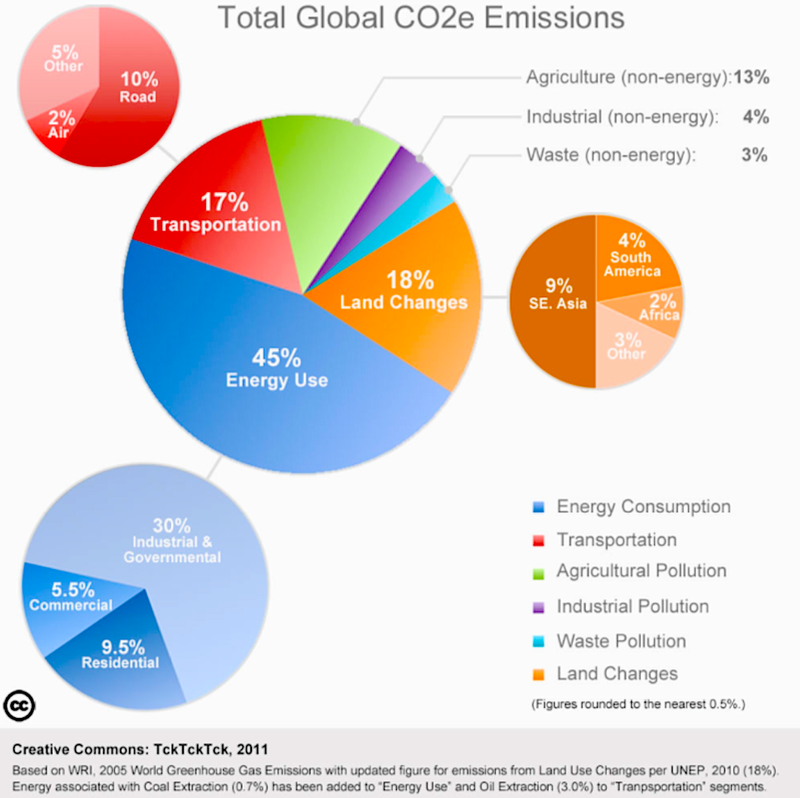 How much of our energy consumption/demand is due to cars? Must we stay with gas/diesel? “Switch” to electric/biofuel? Something else? How can nuclear energy help with that? Time to cut everything in the military Corbynites! I say start with electricity generation as it is the lowest-hanging fruit. Heating would be the next thing to tackle – potential solutions would be district heating (for high-density urban areas) or heat pumps (for lower-density suburban and rural areas). Transportation one of the more difficult issues to solve – electric cars are still very expensive to buy (even with subsidies), and biofuels would be even more environmentally-damaging than petroleum fuels if scaled up to the necessary level (which is why fossil fuels essentially replaced them in the first place over a century ago). Perhaps nuclear energy could be used to make hydrocarbon fuels from water and atmospheric CO2 – the US Navy has looked into using this to fuel its carrier-based aircraft. Taking an internationalist approach to this matter is mired with pretty much insurmountable challenges. Overriding geopolitical, socioeconomic, demographic, climatological, etc factors to find a common energy ground will prove quite trying. Your views on lignite are an irrelevance given that 30 percent of total German electricity demand is generated by renewables nowadays, one third of the entire demand of a manufacturing powerhouse, do you have any idea what that means for coal exporters? They LOST a market. In Denmark its 40+ percent, btw. Where do you get that 30 percent figure from? And isn’t part of that either biomass burning (hardly environmentally friendly) or big hydro (great, but not expandable)? And the only reason Denmark (which has the highest electricity prices in Europe BTW) manages to get so much of its electricity from wind is by using Norwegian hydroelectric dams for energy storage purposes. Very few countries are that fortunate geographically. You dish out really old lines George. Denmark has the highest electricity prices in Europe *AFTER TAX*. They can of course afford to pay those prices because their populace do not earn UK minimum wage levels. Danish cost of generation is way below that in Britain (!) given their plant is modern plant unlike here. Eurostat gives us the facts. 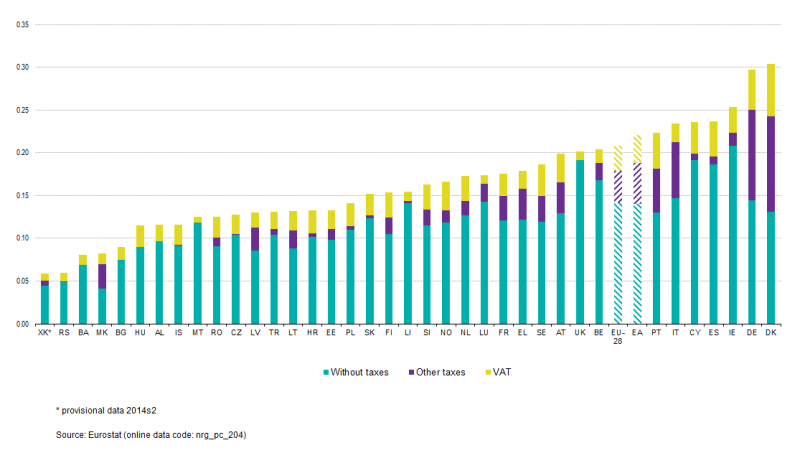 Both Denmark and Germany — Europe’s leaders in renewable energy — seem to have very high specific (non-VAT) taxes on electricity. I strongly suspect these taxes are used not to fund general government spending, but to subsidize wind turbines and/or to force energy conservation. Either of those cases would imply that the “pre-tax” electricity price is little more than an accounting fiction. Does that mean Big Oil has less influence in France, Belgium, Hungary, Switzerland and Slovakia than in Germany and Denmark? Or simply the former countries have better/luckier energy policies/lawmakers, or even maybe more energy-savvy populace? Also Norway is a major oil exporter, still hydro is central to their energy production. Shouldn’t they then be worse off than the Germans and Danes? Not if it’s reinvested mate. Did you know the City of Munich (=council) own Britain’s largest wind farm? They own it because they have the money in the bank to pay for it. Economics 101. This will of course be all Greek to many readers here. Germany has an especially powerful anti-nuclear movement, because of its Cold War frontline position, and because East German agents could operate in West Germany without the hindrance of a language barrier (the Soviet bloc had a vested interest in opposing nuclear energy in Western Europe as the Soviet economy was critically dependent on oil and gas exports). Denmark probably didn’t use nuclear energy because it was a small country (less than 6 million people) and with relatively little industry. Like Scotland, it also has a history of offshore oil exploration, and has sought to re-use its offshore construction expertise in the field of wind power. I hope this doesn’t mean the Germans interfere in UK energy policy on order to protect the revenue stream from their investment. I corrected my previous message to say “wind” rather than “renewable” energy as hydro has fundamentally different characteristics (for one thing, it’s actually controllable). Interfere in UK energy policy? They dictate UK energy policy. Next up: the renaming of the DECC to meet DIN standards. Germany’s increasing use of lignite and plans to build many more plants to burn it are hardly irrelevant given climate change issues. This is a bad time to ramp up coal burning. Germany gets 15% of it’s electricity from solar and wind. It took Germany 15 years and hundreds of billions of dollars to get that 15%. That is much too slow a pace to deal with climate change. Germany gets another 3% from hydro, and that’s not going to grow. 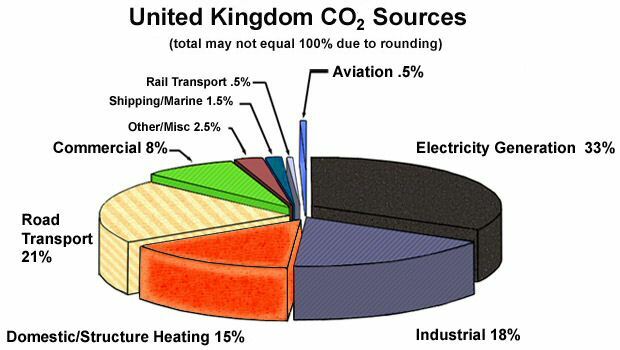 And the 7% electricity from biomass is simply bad. Germany is burning wood pellets made from felled trees in the U.S. and shipped to Europe. And in the total energy picture, Germany gets a mere 2.1% of its total energy from hydro, wind, and solar. It is very foolish and shortsighted for Germany to be shutting down nuclear power plants at this time. There has never been a successful socialist state. He wants to re-open the mines. It would be like rolling back environmental progress 30 years. Its not even really viable, its just political point scoring against Thatcher. He would land a much bigger blow against both Thatcher and Blair if he ripped apart the corrupt home-owner-ist culture that both had a huge hand in building. With all due respect I do wish people understood that a peaceful state and it’s citizens has a right to defend itself from attack. Yes of course negotiate, find a peaceful solution. But would we British surrender Scotland if Russia invaded it and backed armed right wing rebels? no. If Russia refuse to leave would you seriously just not send in the British Military. If not, why not disband the military? Ukraine has a right to defend itself and to tell it not to do what we do is to treat it unequally. How do you define “socialism”? Fortunately he will never be PM. OK, so you’re basically thinking of states that even if not Marxist-Leninist have explicit references to socialism in their constitution, not merely democracies where a left-leaning party is currently in power. That clears some things up. Well yeah, the further to the left you go, the more damage you do to society. Same with the further right you go. We need a centrist government. As the center is where liberty lies. What Britain really needs is a government that can destroy home-owner-ism (I don’t care if this is done by the socialist route of mass council housebuilding, by the capitalist route of repealing the Town and Country Planning Act, or by other routes such as universal rent control or land value taxation), but unfortunately the home-owner-ists have too much electoral power. Even UKIP (which doesn’t pay lip service to environmentalism like the left-of-centre parties, nor chase the home-owner-ist vote like the Tories) isn’t open to the idea of doing away with the Green Belts – maybe they think deporting immigrants will be enough to solve the problem? I massively disagree with you. So you think sky-high house prices are a GOOD thing then? Why – have you funded your lifestyle by MEWing by any chance? What? House prices arent too bad mate. Only if you are in London are they really bad I dont like socialist ideals and I fully believe every man is entitled to be able to own their own home. I dont think the left of center parties pay any attention to environmentalism. jeremy Corbyn wants to de-commission nuclear and re-open the coal mines. That is much worse than scrapping the wind farm subsidies that UKIP/CON want to do. Even the green parties environmental credentials are questionable, these days I just think its a front for maxists. Not sure what you mean by “mewing”. But I have 2 jobs, thats how I fund my lifestyle. OK, I think you misunderstood my use of the term “home-owner-ism” (which was coined by Mark Wadsworth incidentally). It doesn’t mean support for homeownership, but rather support for ever-rising house prices. “Help to Buy” is a textbook home-owner-ist policy — it would be more accurately called “Help to Sell”. In many American cities, the ratio of median house price to median annual salary is roughly 3 — in Britain it is about 6 even in the more run-down cities and over 10 in London. Still don’t think we have a problem with house prices? (Or to be more accurate, land prices…) And high land prices also hurt business — perhaps that’s why Britain is strong in finance (which doesn’t require significant land area to operate) but increasingly weak in productive industry (which usually does). If you not only “fully believe every man is entitled to be able to own their own home” but also believe that anyone who works reasonably hard should be able to afford their own home, then the only real way to do that is the way America does it (by allowing unrestrained sprawl — the “capitalist solution” to high house prices which I alluded to earlier). And I said that the left-of-centre parties “pay lip service to environmentalism”, not that they are actually formulating policies in an intelligent way to protect the environment. I’m sure that if UKIP (or some other party) started actually advocated abolishing the Green Belts and/or repealing other planning laws, there’d be an outcry from the left-of-centre parties about “turning London into Los Angeles” or suchlike. The Greens seem to be very different from Marxists to me (even if Jeremy Corbyn seems to have been heavily influenced by Green ideology). Both oppose capitalism, but Marxists are progressive (they believe they can build a society that is better for the working man than capitalism) while Greens are backward-looking romantics who look longingly to the pre-capitalist era when all production was small-scale. “MEWing” refers to Mortgage Equity Withdrawal, where homeowners borrow against a rising house value to fund their consumer spending. It is the main reason why a smallish drop in house prices in 2007 required so many banks to be bailed out by the taxpayer. As for why left-wing politicians oppose nuclear energy — I suspect they were either seeking to protect coal miners’ jobs (as coal mining unions were traditionally among the most militant, due to the hardships their members endured underground), or to court foreign backers. The Soviets had a vested interest in fighting nuclear energy in Western Europe because their economy was critically dependent (as Russia’s is today) on oil and gas exports. Actually, a new article came out. Germany is getting 3.3% from renewables which is more in line with what Costa Rica gets from solar and wind (5-7%), even though they “claim” 100% renewables, currently. They are the first to admit it’s mostly hydro and they admit it’s probably temporary. Hydro behaves like coal and nuclear, always on, baseload, 100% reliable power and is not in the same renewables category as solar and wind. Hell, even nuclear is the most renewable, most sustainable power we have if the criteria used by solar and wind are used for nuclear also. Can someone please tell me the difference between Corbyn’s foreign policy and Putin’s. We didn’t attack Afganistan because we felt sorry for women under the Taliban – we attacked Afghanistan because we wanted to get the bastards behind 9/11! I still wonder if he’s too old and stuck in the past — it is Britain’s young people after all who have suffered so much under home-owner-ist rule (the Tories pioneered home-owner-ism, but Tony Blair took it to a whole new level). Corbyn’s anti-nuclearism is also deeply concerning to me (in 2010 it was enough for me to switch my vote from Lib Dems to Tories) — maybe he’s been influenced too much by his brother Piers, a weather forecaster (and global warming denier). Maybe that’s why he’s also keen on re-opening coal mines?